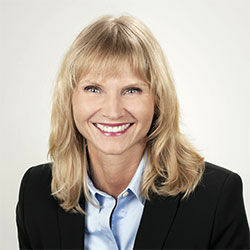 Silke Brand-Kirsch, executive partner of Schlegel und Partner, a leading market research and consultancy company, talks about the growth prospects of the nonwovens industry, its biggest markets, sustainability, and the company's expansion plans. TT: Which are the core areas that you work in technical textiles, and what is the growth potential in each niche? Schlegel und Partner was founded in 1992 with extensive international and industrial experience. Originating from a multinational group, we concentrate our market research activities on business-to-business markets in the automotive, chemical and industrial sectors. In the technical textiles sector, we deliver single-client projects for almost all applications. We cover everything - from structural reinforcement parts for automobile production and filtration applications and for air pollution control to indoor air quality filters as well as more end-user related segments such as shoes and clothing. Most of the segments in which Schlegel und Partner is active hold growth opportunities in technical textiles. The strongest growth can still be found in the filtration segment, but globally there is also a high demand for technical textiles in automotive applications with two-digit growth rates in certain niche segments of that market. TT: Which are your biggest markets and where does Asia feature in your growth strategy? Which are the countries seeking more of technical textile? Schlegel und Partner is internationally active, offering market research projects for all countries in the world. About one-third of our projects are country-specific (covering a single country), but most of our work has a global reach covering more than three continents. The Asian market of course plays a major role in our growth strategy and also for our main clients, as most of them are global players with key strategies of significantly increasing their market shares in Asia. In addition to China, we notice a strong interest in Southeast Asia, especially in the construction segment. TT: How has your business grown in the last two years and what is your target growth for the next two years? Schlegel und Partner has had a steady two-digit growth path over the past ten years, which was even stronger in the last two years with many new customers in all of the segments in which we are active, and we plan to continue on with strong growth until 2017. We dedicate 7 per cent of the capacity of our staff to transfer latest methods and trends into new products, and we ensure a roll-out into our markets through our new business development department. TT: What new products can this vertical expect from Schlegel during this fiscal? We will continue to focus on our key products which are explorative market research, voice of customer projects and employee surveys, all based on reliable statistical methods and latest management tools.